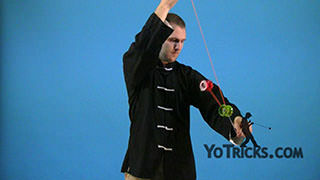 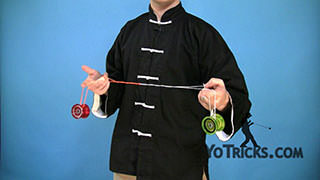 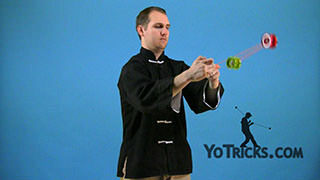 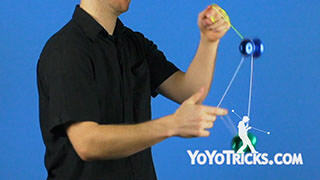 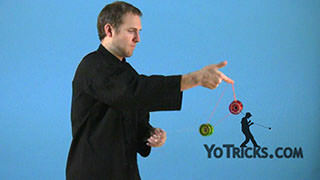 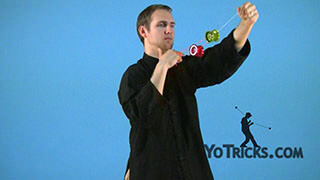 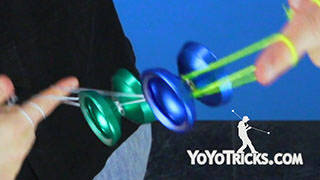 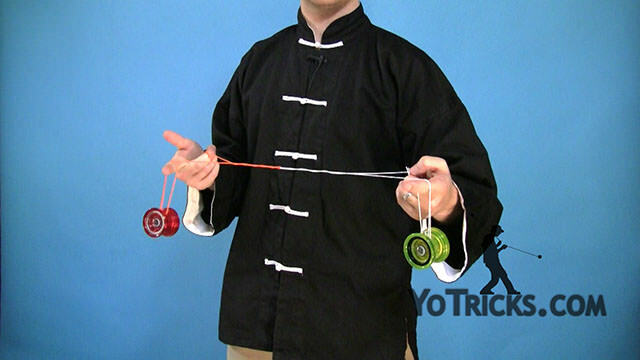 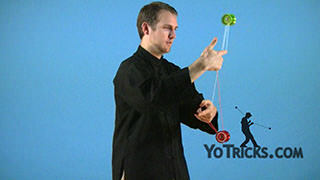 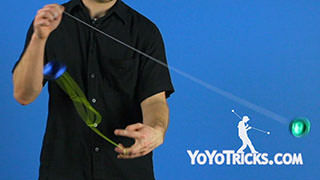 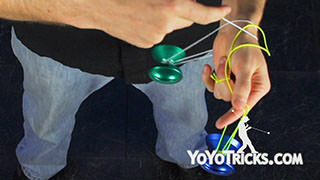 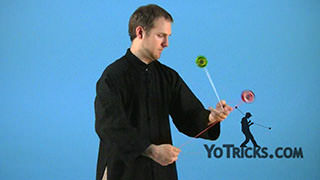 Learn the 3A Yoyo Trick Velvet Rolls. 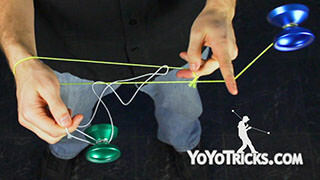 Velvet Rolls Yoyo TrickThis trick is called Velvet Rolls, it looks like this. 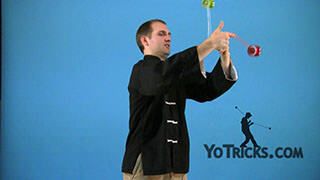 To do this trick, all you are going to do, is you are going to get into a Velvet Mount. 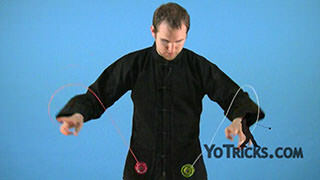 When you are inside the mount you are going to flip each yoyo around to the back, one at a time. 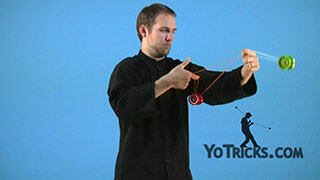 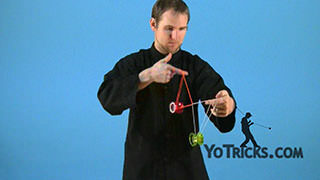 You can really do that as many times as you like before bringing the yoyos back to your hand. To make the trick a little easier, what you want to do is make sure that your top hand is spinning in an arch, and your bottom hand pushes straight through. 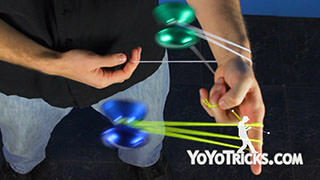 The other thing to make sure, is that your fingers stay in a straight line. 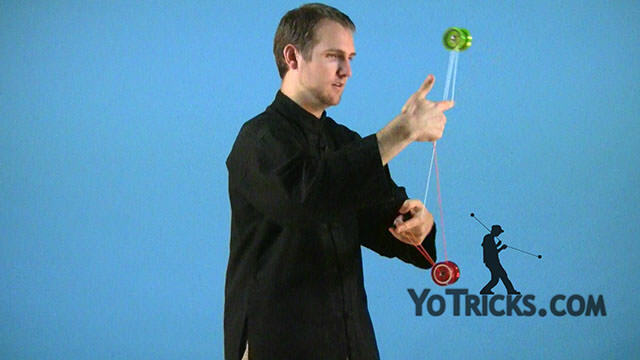 If you end up moving your arms to the side at all, you are going to find that your yoyos turn and it messes up the trick. 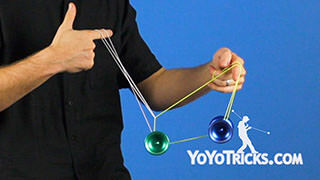 I will show you what it looks like here. 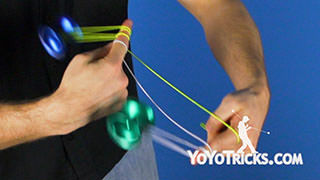 Flip the yoyos back. 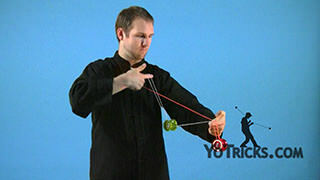 Keep your fingers in a straight line. 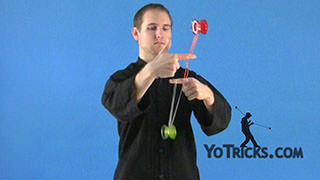 Since it is not a kink mount, you can drop it at any point and bring the yoyos back to your hands.